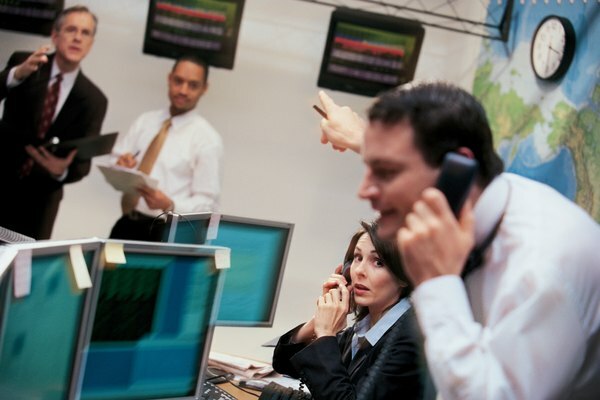 You can buy and sell stocks as easily as a professional trader. When you start investing in the stock market, much of the material you research will mention trading equities. This simply means buying or selling shares of stock, which represent ownership -- or equity -- in a company. Before you buy your first piece of a publicly traded company, you should become familiar with some basic terms and methods that traders use to make equity trades. And you should become comfortable with tools of the trading trade. Select your first stock. Free online financial sites such as MSNMoney, Google Finance and Yahoo Finance can help you make your selection. The first thing you’ll need is a stock’s symbol. This is the three or four letter abbreviation that represents the stock when you’re trading. Look up the symbol on these financial sites. For example, if you enter “Apple” in the “find symbol” field, the symbol AAPL appears. Use this symbol to get a quote on the stock price, look up financial reports and even see stock charts. You might have to research several stocks before you find the one you want to invest in. Open a trading account. You can do this online with a discount broker or through a traditional broker in a physical office. Traditional brokers can be expensive, so you may want to consider an online broker for your first trade. Expect to pay anywhere from $4 to $15 per trade online. Choose the broker you want and fill out the online form that gives the broker the information she needs. To fund your account, either mail in a check or set up an electronic transfer between your bank account and your trading account. This is a matter of providing your account number and routing number -- both of which are on your checks -- to the trading account manager. Place your order. You do this on your trading accounts order screen. Enter the stock symbol and the number of shares you want. Then select the type of buy order you want to place. This can be a market order, a stop order, a limit order or a stop-limit order. A market order means you’ll take the next price anyone offers you for the stock once your order is active. A stop order means you’ll take the next price only after the stock reaches a certain price you set. When you place a limit order, you limit how much you’re willing to pay. With a stop-limit order, you set a stop price, and when the stock reaches that price, it becomes a limit order that restricts how much you’re willing to pay. When you’ve entered all the information the way you want it, click “buy.” Your order will go to a stock exchange, where a trader will fill it. A market order leaves you wide open to the next bidder. Consider using a limit order for your first trade, because this lets you set the maximum price you’re willing to pay. Read and Digest: What Is Stock Market? What Is a Stock Ticker Symbol?